Grab your safari hat and get ready for a one-of-a-kind musical Jungle adventure! 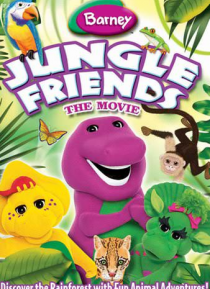 Join your best friends Barney, BJ, and Baby Bop as they laugh, dance, and sing through an enchanted rainforest and learn about all of the amazing plants, animals, and insects that call the rainforest their home. Watch and learn as kids play with monkeys, collect butterflies, and search for the legendary Higgledy Piggl… edy Pear Tree in this super-dee-duper tale of friendship and fun!